BWiC held a free gaming workshop on September 22 at the UCF Center for Emerging Media in the Florida Interactive Entertainment Academy immediately following the Tapia Celebration for Diversity in Computing in Orlando Florida. 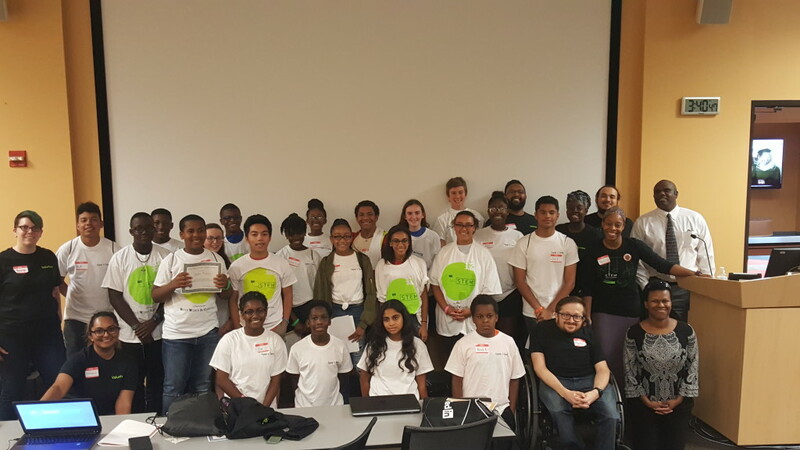 The workshop consisted of activities that exposed families from historically under-served and underrepresented communities to the importance of careers in computer science. Parents were provided information on how to get their children on the path to college and a STEM career by a panel of CS professionals. Students collaborated as a team to design a game to promote good cyber citizenship. Participants learned how to use a range of rapid prototyping tools and programming techniques to create and showcase their game.